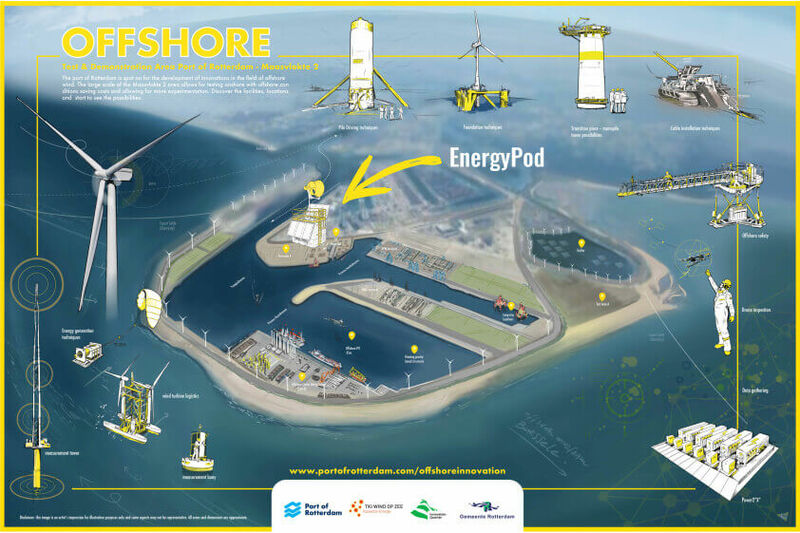 Amphibious Energy has recently introduced its newly designed Hybrid EnergyPod at the Port of Rotterdam’s Maasvlakte 2. We have added a live webcam feed, so this active operational EnergyPod and its unique turbine can be viewed by our vistors at any time. The feed is updated every 30 seconds. Working together with the Port of Rotterdam Authority, we have we been granted access to the very unique Maasvlakte 2 Development area at the Port of Rotterdam. An excellent location for Amphibious Energy to demonstrate the Hybrid EnergyPod. Please feel free to contact us should you wish to arrange a viewing of the Hybrid EnergyPod on location with someone from our team. Would you like more information about our EnergyPod? Please feel free to contact us.